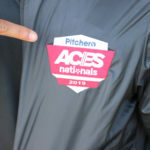 Tilehurst Panthers Stripes in Reading previously claimed the Pitchero ACES Nationals title. They tell us why the tournament is such a great experience. Tell us about how you entered the tournament? Following league and cup success over several years, we were invited to attend the tournament in 2014 but first entered in 2015. Losing that year on penalties in the semi-finals, we returned to win the event at U14’s in 2016. Why is the event such a big date in the calendar? For the players, coaches and parents this tournament represents the ultimate challenge to the girls and the pinnacle of what they can achieve as a team. It is an event that is very much in the minds of the squad as they progress through the normal season and summer tournaments. Having now won the title, returning to defend it adds an extra challenge and builds the anticipation further. What’s the atmosphere like on the day? The excitement leading up to the day, the journey to the ground and build up to the opening ceremony makes this event unique from start to finish. On the day, the opportunity to play other teams, coaches and parents from across the country creates a special atmosphere throughout the ground. Everyone is aware of the challenge they face and can feel proud they are able to be there. Finally, as a parent watching every game, you get to hear all the other supporters in all their regional accents – it’s an amazing experience. What did winning the title mean to you as a team? Everything. We always knew we had a unique set of girls in this squad and winning the tournament was their opportunity to prove how good they are. Having come so close the year before it was extra special to return and win the tournament. On return to Reading the team was recognised in local papers and websites which meant a lot to the girls. How many people can look back in their life and say they were National Champions? What’s next for you as a team? This last season the team changed league to find a new challenge. This meant stepping up to play teams such as QPR, Crystal Palace and Wimbledon. The first year has seen the team face many new challenges and also recognise what it takes to go to the next level. Our target next year is to rise to the challenge, step up our progression, and attempt to win the league. Oh, and of course we intend to defend our County and National Titles as well. Has your team got what it takes? There’s still time to register your interest for 2017 to get your team in with a chance of becoming the new champions.